The oil crash is stirring up some bad memories of the financial crisis. There are fears that a tsunami of defaults are coming from loans that bankrolled the U.S. shale oil boom. After all, oil prices have collapsed to around $35 now from over $110 a barrel and many debt-laden companies can't make money at these low prices. Bankruptcies and defaults have already dramatically increased and banks like JPMorgan Chase (JPM) and Wells Fargo (WFC) are warning of looming losses. These defaults are bringing back the specter of banks that were reeling in 2008 from the huge wave of losses that ripped through the global economy. The worst losses came from risky subprime mortgages that were offered to millions of borrowers with little to no income. Those loans quickly turned toxic as house prices collapsed. But the analogies between the mortgage meltdown and the oil bust mostly end there. 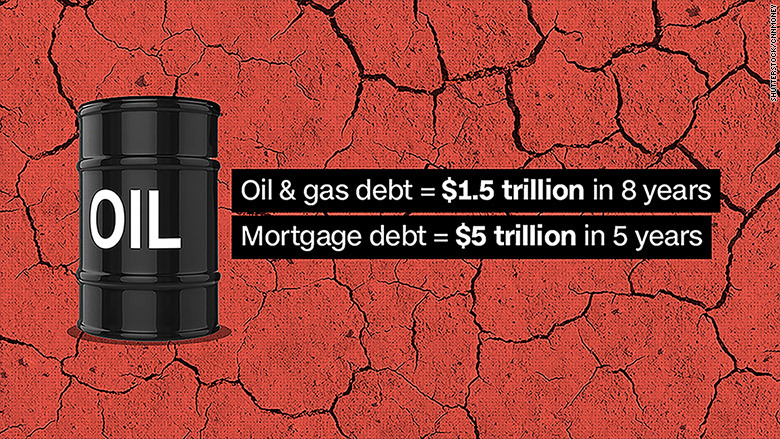 The oil crash doesn't seem to pose the same systemic risks. More importantly, big banks are better prepared to weather the storm this time around. "There's going to be pain and losses. But I can't see it having a systemic impact," said Jeffrey Shafer, a former Federal Reserve and Treasury Department official. One of the reasons the housing slump caused so many problems was because it was unprecedented. Home prices rarely if ever dropped before 2007. 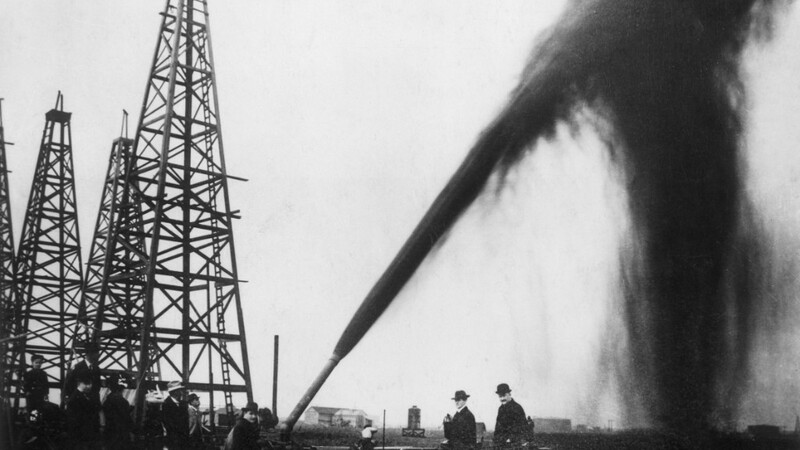 Bankers and investors may not have seen the oil crash coming. But they had to know it was possible because oil has a long and painful history of violent moves. In fact, as recently as 2008, oil experienced a collapse of about 78%, or just a tad worse than the current plunge of as much as 75%. "House price declines were 'unthinkable,' recent oil price declines were not," Goldman Sachs wrote in a recent report arguing fears of a repeat of 2008 are "overdone." Just like the housing boom during the last decade, the energy boom was financed by easy credit. Many of those oil and natural gas loans now look shaky -- at best. Debt in the oil and gas sector rose by $1.5 trillion between 2006 and 2014, according to the Bank of International Settlements. While that's a huge increase, Goldman notes it pales in comparison with the $5 trillion surge in mortgage debt between 2002 and 2007 as home prices nationwide rose and mortgage requirements grew easier. The entire country seemed to be participating in a free-for-all debt party. Compared to that, the energy debt seems more contained. Energy loans make up just 2.5% of bank assets, Goldman estimates. That's 10 times smaller than the 2007 mortgage exposure of 33% of assets. Related: Is the oil crash over? The oil crash is likely to cause trouble for some small and regional banks in Texas, North Dakota and other regions that rely on the energy industry. However, the 2010 Dodd-Frank financial reform law required big banks to prepare for the next storm. Regulators have forced banks to stock up on more than enough capital -- money that can be used to easily absorb losses on bad loans. For instance, JPMorgan Chase recently said it will set aside an additional $500 million in the first quarter to brace for potential oil and gas losses. "The banking system is in good shape in terms of capital. We learned a lot from 2007 and 2008," said Ernie Patrikis, a former New York Fed official who is currently a banking partner at law firm White & Case. "The banks and regulators are an awful lot sharper now in addressing risks than they were in the old days."